Saturn's moon Titan is eerily familiar and yet wholly unlike our own. The cosmic picture: The large moon boasts a hazy atmosphere and rains methane onto its surface. Now, thanks to the long-dead Cassini spacecraft, we know that some of its lakes are more than 300 feet deep. Background: Cassini gathered groundbreaking data on Saturn and its moons, including making a dive through the planet's rings and into its atmosphere in the final moments of its mission. The spacecraft flew past Titan in April 2017, when it observed the lakes, and scientists are still analyzing the treasure-trove of data it gathered and transmitted back to Earth. 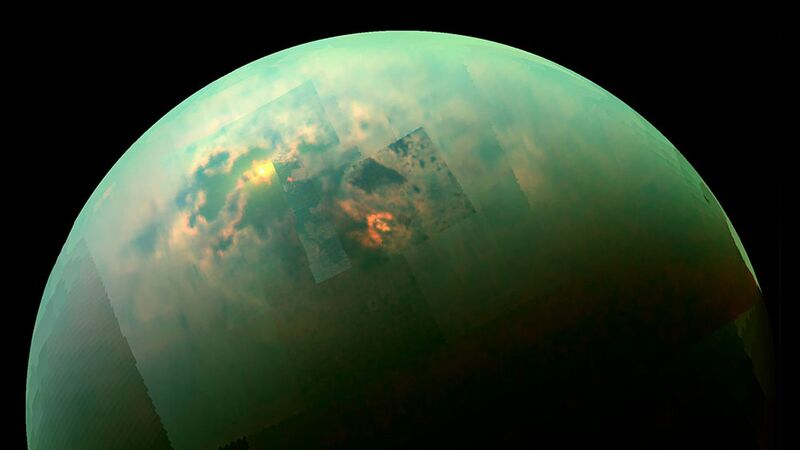 What they're saying: "Every time we make discoveries on Titan, Titan becomes more and more mysterious," Marco Mastrogiuseppe, lead author of the new Titan study, said in a statement.